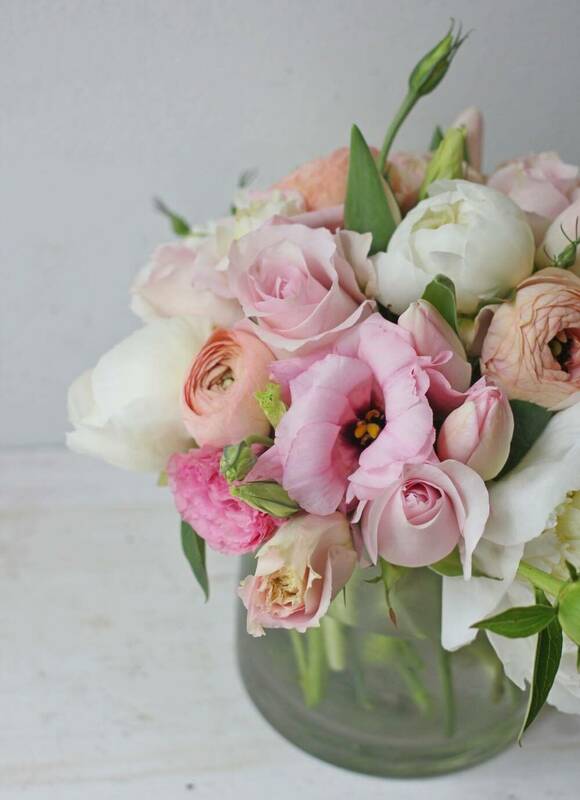 Lush and tight arrangement of seasonal white and pink premium blooms. Flower selection based on seasonal availability. Some blooms pictured (such as peonies) are not available year round, our designers will select the best flowers available of the same value and color.